People make attempts to get at the heart of the problem, when finding it only requires a cross-eyed look in a very small distance. It’s our nose which is the real troublemaker. Gods knew it all along. They tried passing the message too but somehow it got lost on us mortals. Surpanakha would have never sniffed around a devout and already taken man after the fateful nose job. Why do we waste our precious moments in poking our nose in other’s business? Why do we smell something fishy when there is nothing amiss? We let relationships take a nose dive to save the inane nasal honour. From this moment, let’s put the nose to the right use and inhale sweetness, affection and love of flowers with our every single breath. Call it a writer’s imagination or an extreme case of delusion, but it’s not impossible to replace guns with roses. A lynch mob can turn into a friendly procession, the trident could stop impaling the crescent moon. The truth can be more saner than reality if hearts are won and differences are resolved with the gift of flowers. We at Indiaplaza know the strength of tenderness. We acknowledge the prowess of flowers that brings down towering walls of apathy. That’s the reason why, thousands of patrons every day pour in on our website to order redolent flowers. They trust us with their emotions as they know we have the bunch that can string their unspoken words and make them heard in those special ears. Even you can spare some of your time and gift flowers to your loved ones by ordering it online at our portal. 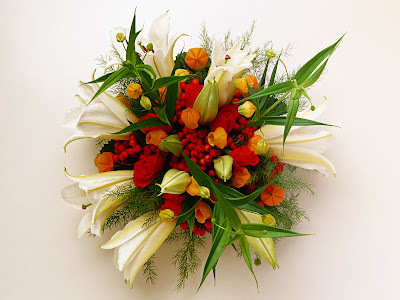 Our online flower delivery services cover all major cities in India like Delhi, Mumbai, Hyderabad, Chennai etc. If you reside in a foreign country and want to extend your greetings to your folks back home in India, you can count on the services of Indiaplaza. Thank you so much, good article,I think flowers are the best wonderful gift for all occasions. I must say, you have a very good service and your tech support is highly effective. I wasn't really aware that internet business entrepreneurs could be this good. Thanks!